The bridge will be closed for at least a week, as crews repair a hydraulic fluid leak. The Spokane Street Bridge, the lower-level bridge connecting West Seattle to the rest of the city, shut down Wednesday evening for emergency repairs and will remain closed for at least a week, the Seattle Department of Transportation (SDOT) said. 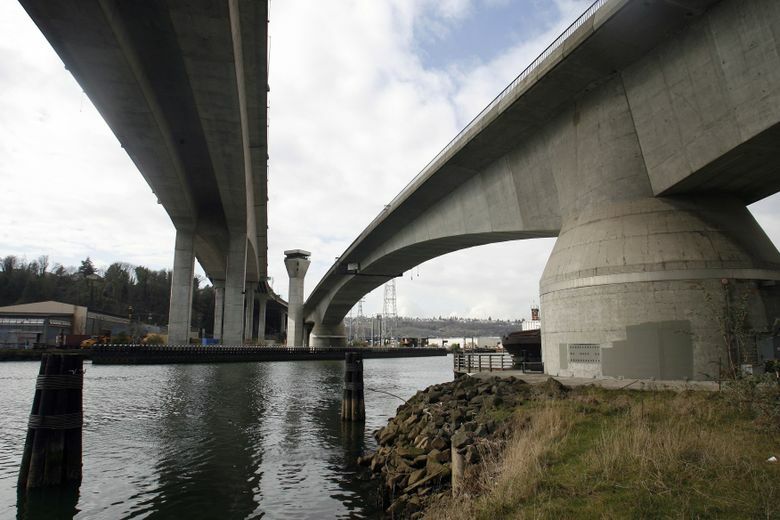 Bridge inspectors discovered a hydraulic-fluid leak, which, if unrepaired, could cause severe structural damage, SDOT said. The swinging bridge must be swung open to determine the extent of the leak, in one of the bridge’s “cylinder seals,” SDOT said. 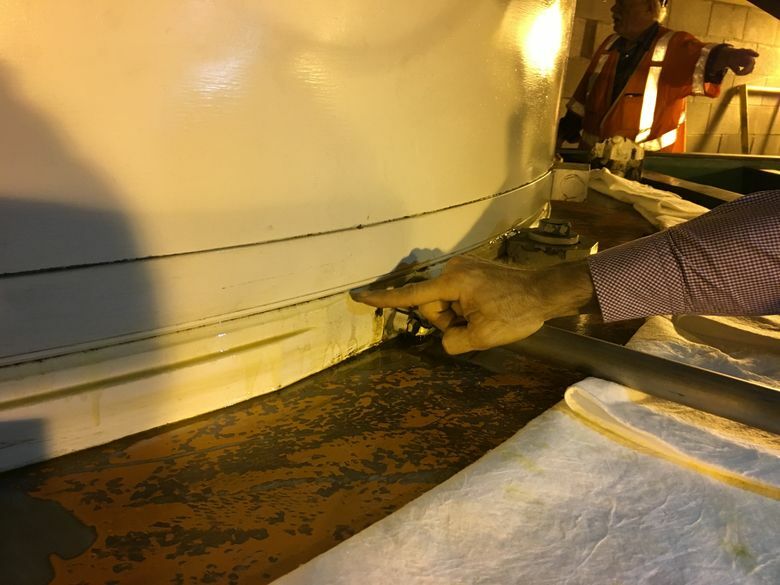 A night-shift bridge operator discovered the leak Wednesday after an alarm went off, indicating lower than normal levels of hydraulic fluid, which is used in the bridge’s central cylinder that rotates to swing the bridge open. Mechanics began work and inspection of the leak about 6 a.m. Wednesday, SDOT said. The agency said that the leak is inside the cylinder-machine house, a self-contained area, and that “only a small amount” of hydraulic fluid has leaked. Mafara Hobson, a SDOT spokeswoman, said they would know more about the extent of the leak Thursday. “It’s hoped the repair will be complete by the middle of next week, but that cannot be confirmed until the cylinder is opened and more thoroughly investigated for damage,” the agency wrote. The bridge, built in 1991, is the primary bike route to and from West Seattle. This month, with nice weather, about 1,400 bikes have used the bridge weekdays. On Wednesday evening only, SDOT provided van service for bike riders, to cross the parallel West Seattle Bridge. About 15,000 cars use the bridge each weekday. The bridge closure also leaves West Seattle vulnerable to major traffic logjams if there is a crash or blockage on the West Seattle Bridge.